Vilaflor is a tranquil haven, surrounded by rural landscapes and pine trees as far as the eyes can see. At 1,400 meters above sea level, the entire village is a lookout point to lush vegetation, rugged lava plains, and fields of wildflowers. Legend has it that Vilaflor owes its name to a Spanish Captain, Pedro de Bracamonte. Upon seeing a beautiful Guanche girl in town, he exclaimed: “Vi la flor de Chasna” (I have seen the flower of Chasna), which was the town’s former name. Its stately houses and cobblestone streets speak of the history of this part of Tenerife. Once a popular destination for scientists and explorers, Vilaflor was the location of the first hotel in the south of the island. These days, most visitors of Tenerife pass by the town on their way to Mount Teide. In doing so, they overlook a historic little town with flower lined streets and a friendly personality. Although a relatively small village, visitors staying for a couple of days will never run out of things to do in Vilaflor. Its location is the ideal starting point for hiking and climbing treks, as well as visiting wineries and vineyards. The old houses and other ancient sights are also a delight for the history buffs out there. Falling head over heels with Villaflor especially for nature-lovers is easy. The town boasts some of the unique landscapes and forests of lush vegetation that are all well-worth the visit. Below Mount Teide National Park and spreading seawards down steep hills lays the Corona Forestal Natural Park. Covering an area of almost 50,000 hectares, it is the largest natural reserve in the Canary Islands. Dense green pine forests and the blue hues of the ocean to the left await at this spectacular park. The park is perfect for visitors who are up to mountain biking, hiking or just wanting to feel the nature at their fingertips. Guests visiting Vilaflor claim that seeing Paisaje Lunar is one of the highlights of their trip. It features ancient rock formations that appear to have a moon-textured surface. The beautiful rocks contrasting with bright blue skies on a sunny day makes for a postcard perfect view. Ifonche is a protected landscape that beautifully combines nature with man-made structures. The whole area is surrounded by rock formations that contrast the Barranco del Infierno (Hell’s Ravine). The entire scene is a delight to the senses. 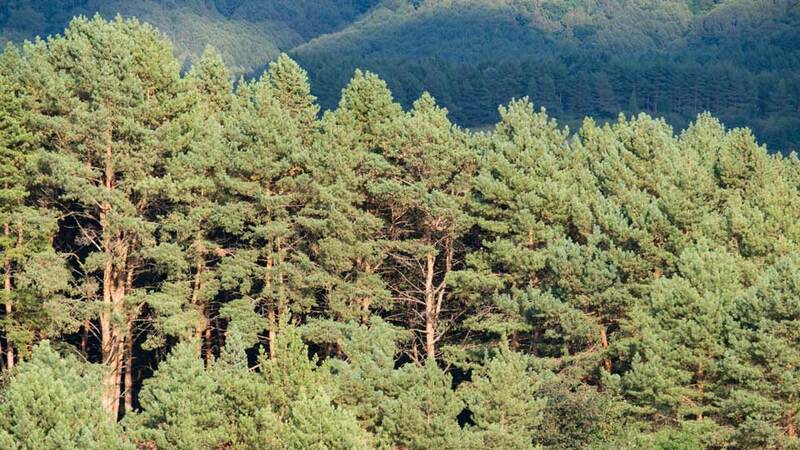 Villaflor is home to two enormous Canarian pine trees: the Pino Gordo and the Dos Pernadas. These old trees measure 60 and 70 meters tall with a diameter of 11 and eight meters. Aside from these massive trees, several impressive cypress trees are also dotting Plaza de San Pedro. Montana Colorada is an area of spectacular natural beauty and geomorphological complexity. 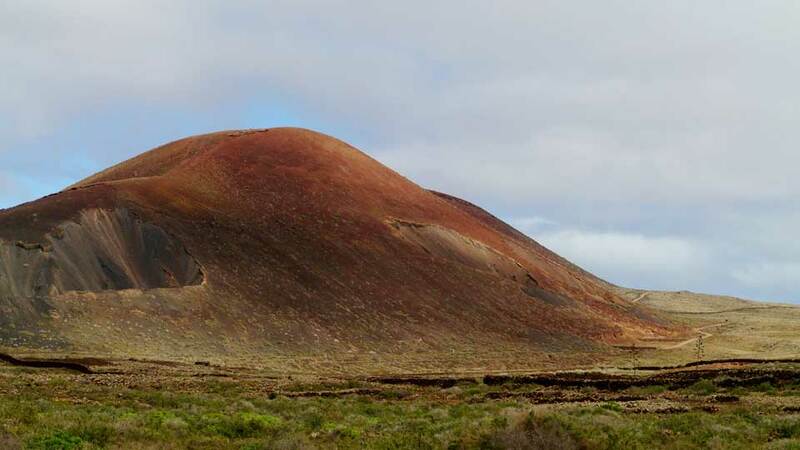 It consists of an almost perfectly circular lava dome and a sparse covering of pine trees. Hikers will find a series of volcanic edifices covered with vegetation that is both stunning and full of contrasts. This natural monument is a vast visual basin of diverse cones, ridges, and ravines. Vilaflor houses one of the most spectacularly preserved old towns on the island. Away from the tourist congested beach resorts in Southern Tenerife, an air of the historic colonial times still lingers. Step back in time while visiting age-old mansions, churches, and villages of important historical significance. Erected in the 16th century, San Pedro Church is among the oldest establishments in Vilaflor. This religious centerpiece features a large sculpture of Saint Peter, the first saint of the Canary Islands. The church opens up to Plaza Doctor Perez Caceres and sits in the center of the town. Situated in front of San Pedro Church is La Casa de Los Soler, the most extravagant house in town. The mansion is of traditional Canarian architecture and has a winery in the back building. Situated on Plaza de San Pedro, next to beautiful cypress trees, is La Casa Inglesa or the English House. Built in the 19th century, this house was inhabited for twenty years by the British Mary Edwards and the Rev. Thomas Gifford Nash. At present, this abode house serves as a parochial house. Shared by the municipalities of Vilaflor and Arona, this site was declared an Asset of Cultural Interest by the government in 2004. This ancient settlement is a well-preserved example of southern Tenerife’s typical architecture. This collection of houses is believed to be one of the first settlements in the Jama region, which dates back several centuries. Walking down its stone pathways, visitors will see fascinating farm terraces, caves and much more. Visitors craving for action-packed adventures don’t have to look too far. Vilaflor offers many outdoor activities that are perfect for adrenaline junkies out there. Hop on a thrilling tandem paragliding and savor the marvelous views of this Island of Eternal Spring. Alternatively, the town is also a perfect base for high altitude walking, and the natural parks are ideal for rejuvenating hikes. For visitors arriving at Vilaflor by car, the TF-21 runs straight through the municipality and provides to the best route to get there. The TITSA bus company also run routes to Vilaflor. From Los Cristianos, the 482 bus will take visitors to Vilaflor three times a day, with the journey lasting roughly an hour. It is also possible to reach Vilaflor from Granadilla by taking the 474 bus. Running four times daily, the journey takes approximately fifty minutes. The limited land area of Vilaflor did not bound it from having many staying and dining options for its visitors. In fact, the first ever hotel in the South of Tenerife was built here. Staying at Hotel Alta Montana is already a holiday in itself. Situated next to Vilaflor Forest and surrounded by vineyards and fruit trees, its location is enough incentive for travelers looking for a place to stay in Vilaflor. Moreover, the hotel’s amenities are first-class. Hotel Alta Montana features an outdoor pool, sun terrace, and extensive gardens. The rooms also boast million-dollar views of the sea and surrounding countryside. High in the mountains of Tenerife, Hotel Spa Villalba is known for its peaceful setting. The pleasant staff, amenities, and proximity to Montana Colorada and Teide National Park are also noteworthy. Per its name, the hotel offers relaxing services including massage treatments and features sauna and a hot tub. On a bright and sunny day, visitors may laze on the sun terrace or have a nice stroll in the garden. Set in a 150-year old traditional Canarian-styled house, staying at Hotel Rural Villaflor is like residing in a museum. The wooden ceiling and iron beds of this hotel are exuding with rustic charm. The hotel also features a lovely courtyard where guests can relax after a long day of exploring the village. There is a shared kitchen for guests to use as well as a shared lounge. Though sans the amenities of a hotel, Apartamentos Suncanarias Vilaflor provides the home away from home feel. This friendly apartment offers comfortable barbecue nights and a majestic view of Mount Teide. The room has everything visitors can need, from kitchen wares to hairdryer. Visitors can also engage in various activities like table tennis, billiards, and squash at the property. Located in the heart of the town, Casa Zaguan is set in the picturesque Plaza Doctor Perez Caceres. Each room has a classic decor, and lovely gardens surround the casa. The Casa also features a terrace with a barbecue area and loungers, an outdoor swimming pool and a hot tub. Over the years, developments have been made to increase the potential of attracting eco-tourists. The quaint restaurants also significantly contributed to the town’s overall amiable atmosphere. Enjoy traditional Canarian cuisines at this friendly restaurant run by a husband-and-wife team. Sample one of the daily specials and be sure to reserve in advance. This is one of the most popular restaurants in town. Restaurante Casa Pana is known for two things: their mouthwatering grilled cheese and fantastic views from the terrace. Its ideal location provides stunning views of Mount Teide and the nearby vineyards. Feast on delicious Mediterranean cooking while savoring the warm and friendly atmosphere of the place. For those craving for real Italian pizza, Pizzeria Cafeteria Casino is the place to be. This casino pizzeria offers varied entrees, pasta, meat and fish and delightful homemade desserts. The friendly and cheerful vibe is also noteworthy. Vilaflor seems like a world away from the tourist resorts down by the coast of South Tenerife. Staying in town for a couple of days, it’s easy to forget that this town is part of a subtropical island. Clouds and mist descending and wafting through flower lined streets is a typical sight in town, not so much on the rest of the island. The tranquil setting and the prospect of seeing some of the most beautiful scenes in all of Tenerife encourages tourists to put Vilaflor on their bucket list. With its privileged location and surrounding natural landscape, it’s no wonder why this charming old town has a solid number of visitors per year.